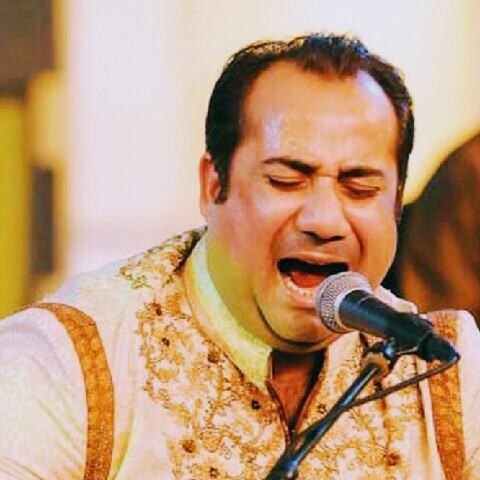 Rahat Fateh Ali Khan (راحت فاتح علی خان) is unarguably the King of Qawwali, a worthy successor of Nusrat Fateh Ali Khan, who despite lots of resistance proved his abilities not via his lineage but via his exceptional vocals and melodious compositions. Rahat began accompanying his uncle Nusrat from very young age and showed a natural flair for high notes. He also inherited mastery over several genres such as Qawwali, Ghazal, Hamd and Naat as well as Bollywood Playback singing.